Cryptocurrency, Stablecoins, Bitcoin (BTC)–As stablecoins, the new industry of cryptocurrency that is focused on price stability, continues to gain traction relative to Bitcoin and the altcoin market, competition is going to mount over the viability of transacting as adoption grows. 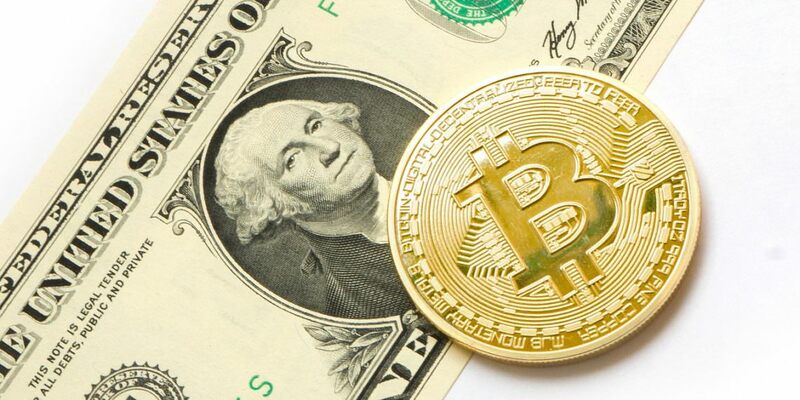 While stablecoins offer a fair amount of utility in terms of a digital tender, Bitcoin comes with the added layer of true decentralization (i.e., not tethered to the value of an external entity), allowing it to operate on a more libertarian platform for those inclined to debate the political utility of crypto. Bitcoin, and the altcoin market, also offers the ability for projects to appreciate with earned value–or price speculation–similar to the stock market. While 2018’s prolonged bear market has soured most investors to the price variability of cryptocurrency, in particular as it has continued to drop and trade sideways, the massive gains made throughout 2017 paint a much different picture of the industry. Because of their divergent relationship, one being price stable and the other providing the potential of investment gain, both Bitcoin (in addition to altcoins) and the growing class of stablecoins can find a bright future on the cryptocurrency marketplace. The appeal of stablecoins is immediately apparent: low price volatility and stable day to day valuation. The end result is a technology that combines the utility, security and advancement of blockchain and cryptocurrency into a viable source of digital tender. While Bitcoin and altcoins are still inherently sources of exchange of value, stablecoins come with the added benefit of having price security–at least so long as the pegged entity maintains continuity. In the case of Tether, which has seen the price of USDT slowly slip away from its historical value of 1 USD, the net effect of an otherwise devastating price change has been a few percentage points–a far cry from the 90 percent or greater losses that most of the altcoin market has experienced in 2018. However, Bitcoin comes with its own set of benefits relative to price volatility. This year’s bearish market has soured investors on the potential of Bitcoin as a digital asset, but 2017 was largely a different story. Few investors complained as the number one cryptocurrency by market capitalization appreciated to $20,000, making a substantial return on investment for those who were fortunate enough to invest before the bull market crested. The attraction of price appreciation and profit will always be a draw for those inclined to investing and taking the risk of price-fluctuating assets. Similar to blue chip stocks on the traditional market, Bitcoin will be looked upon as a relative strong investment as cryptocurrency grows into the institutional space and goes mainstream for average investors. An event such as the creation of a Bitcoin Exchange-Traded Fund or a recession in the U.S. stock market could lead to a bullish return for Bitcoin and altcoin pricing, an event that would herald a significant wave of investment similar to the end of 2017. While investment dollars alone do not drive adoption and technological development, having the currency back in the media spotlight for reasons other than continuing price fall will provide a significant boost to adoption for the currency. As some analysts prefer to compare crypto adoption to that of a virus, infecting new investors and draining the rest, the technology instead becomes more viable with an increasing user base, as the potential for exchange grows exponentially. Stablecoins can likely fill the void needed for a price-stable coin to ignite commonplace crypto transactions, particularly in small, daily purchases. However Bitcoin should retain a strong position as a growing investment class, in addition to the utility it offers as a transacting currency. Because of this, both categories of cryptocurrency can operate largely independent of one another and still find success in the marketplace.